The family of 21-year-old Alteria Woods, an innocent woman who was shot and killed during a S.W.A.T. Team raid in Gifford Sunday morning, said they are getting few answers from law enforcement. Woods’ aunt, Arlene Cooper, said it is hard coming to grips with what has happened to her niece. “I’ve never heard of this before. We don’t know what to do, no closure,” said Arlene Cooper, Alteria’s aunt. Woods was caught in the crossfire of the shootout, killed by Indian River County Sheriff’s deputies during the raid at the home, along 45th Street and 35th Avenue in Gifford. Cooper said the father of her niece’s baby was 23-year-old Andrew Coffee IV. He and his father, Andrew Coffee III, were the target of deputies when they carried out a raid. Indian River County Sheriff Deryl Loar said the youngest Coffee used his girlfriend as a shield. “Andrew Coffee IV cowardly was using her as protection,” said Sheriff Loar. But the Sheriff also expressed remorse, calling Woods an innocent person, caught in the crossfire, as his deputies fired back the at Coffee IV who was shooting at deputies from a bedroom window. 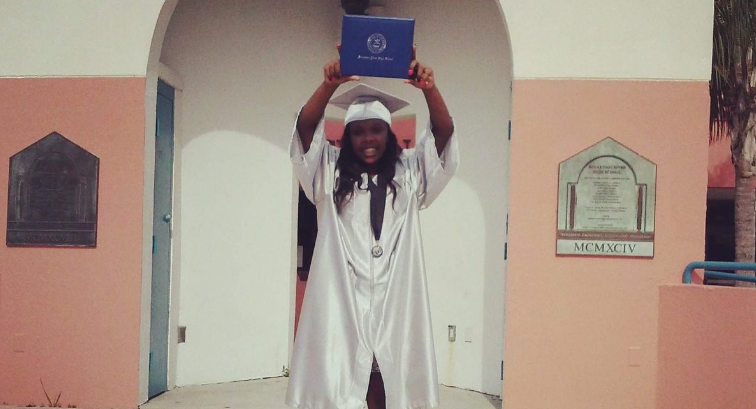 “Today, we mourn the loss of Alteria Woods. My thoughts and prayers go to her family,” said Sheriff Loar. The raid itself is in response to the recent shootings that included the death of Deputy Garry Chambliss. Sunday, dozens of demonstrators turned out along the scene on 45th Street and 35th Avenue, calling for justice and peace between the black community and law enforcement. “I feel justice haven’t been done in this community, and something needs to be done,” said Cooper. The father and son appeared in court Monday morning. A judge set bond for the elder Coffee at $93,000. The younger Coffee is being held on a $307,000 bond.